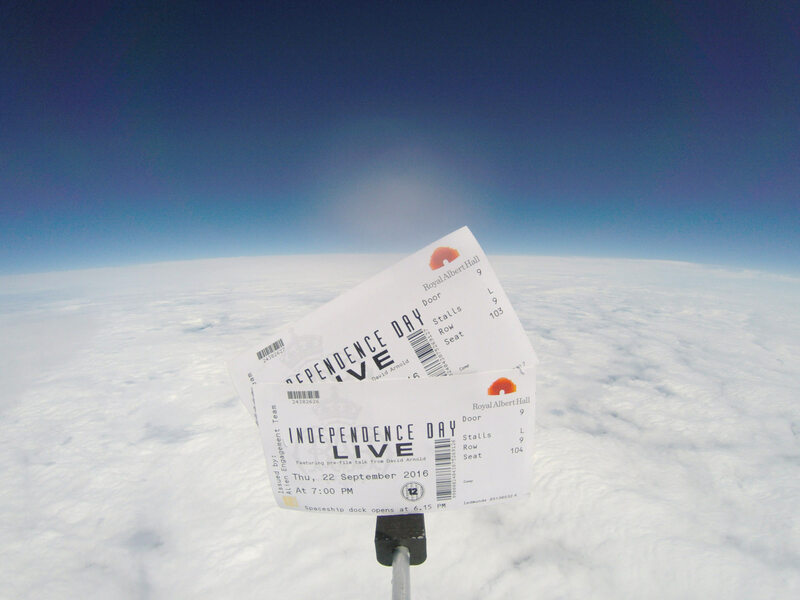 We helped one of London’s most iconic venues – the Royal Albert Hall – send a pair of show tickets into space to celebrate the world premiere of Independence Day Live – to promote their Film with Live Orchestra season. 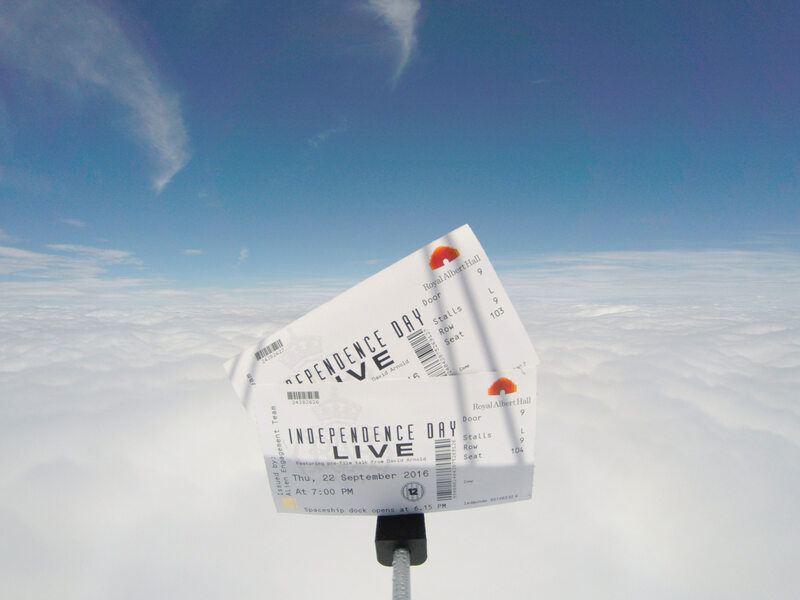 We blasted the tickets into the stratosphere on Independence Day itself. 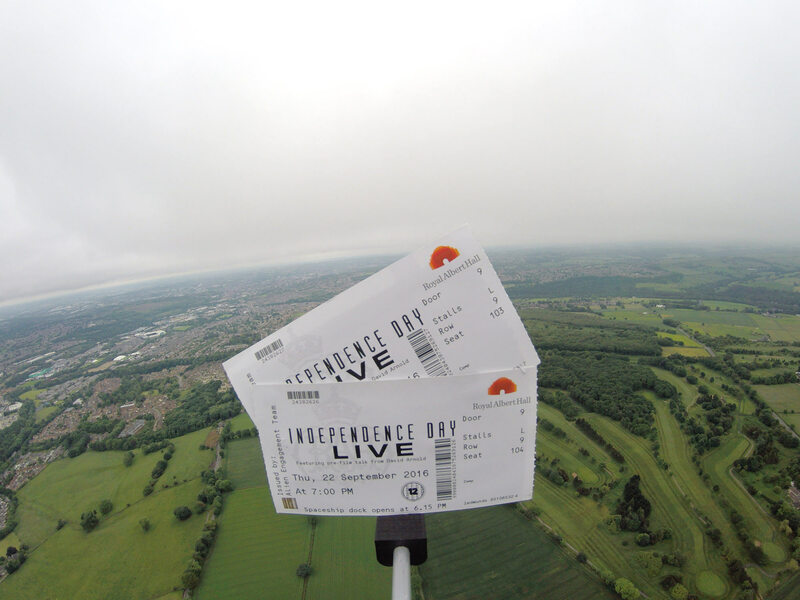 The tickets were carried by a helium-filled balloon and rose to over 35.5km into the air. The chilly tickets experienced temperatures of -60°C and had to be specially laminated to withstand the extreme weather conditions. 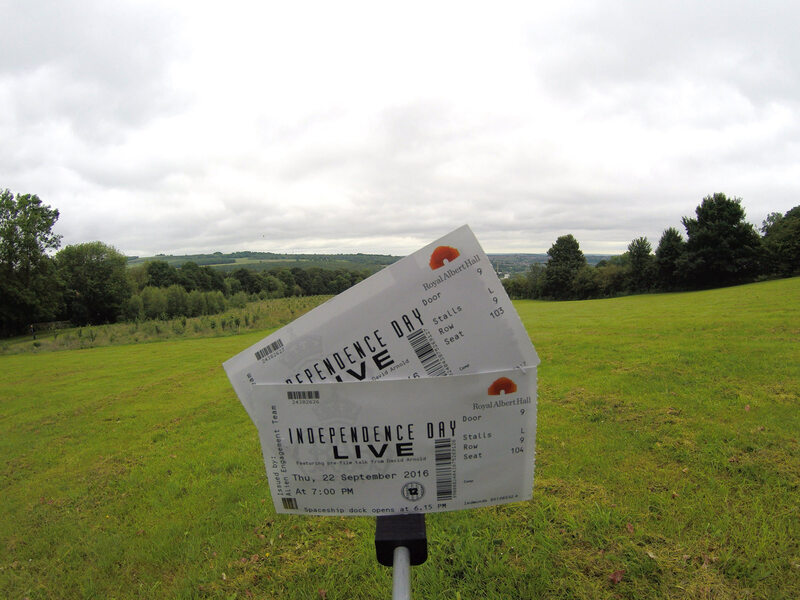 Through a Twitter competition, we even gave sci-fi fans the chance to win the tickets by asking how long it took for the tickets to reach their maximum altitude? Entrants had to tweet @RoyalAlbertHall using #ID4RAH with their answer.